Art Department chair, Brent Haddock, decided to retire from higher education and work as a graphic artist in the business world. His long career at CEU includes department chair, dean, vice president and acting president. 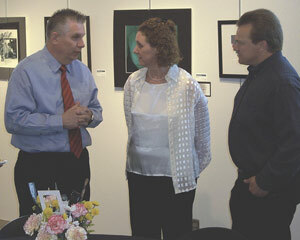 The college hosted a retirement party for Haddock last week in Gallery East.